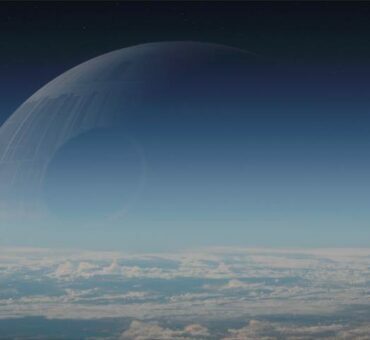 It’s hard to believe that the holidays are here already. With that being said there will plenty of parties whether it be for work, friends or family. 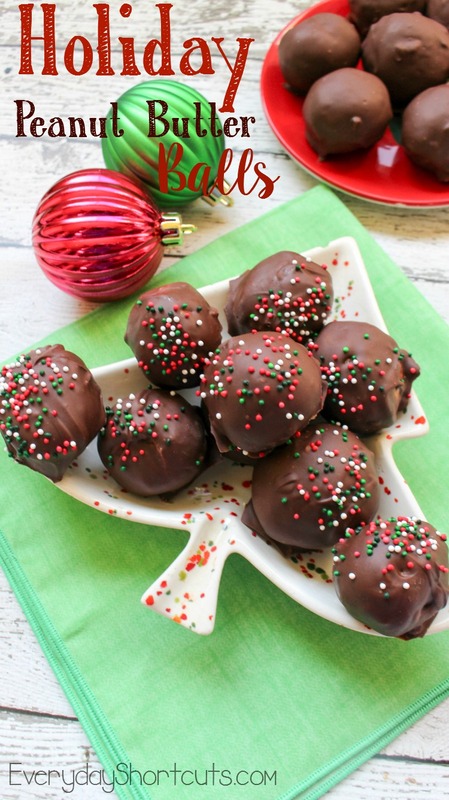 These holiday peanut butter balls recipe is perfect to take to any party and doesn’t take much time to make. They are rich in taste and hard to just eat one. Serve them up on a holiday dish and you are ready for the party. 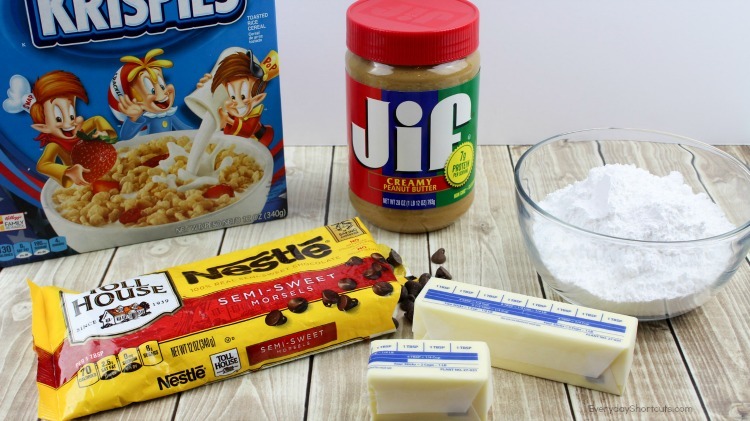 In a large mixing bowl, mix together the peanut butter and softened butter. Add the powdered sugar and stir well to blend completely. Add the cereal and mix until well incorporated. Remove from refrigerator and roll into 2 inch balls. Place on lined baking sheet. In a double boiler, melt the shortening. Add the chocolate chips and stir until melted and smooth. 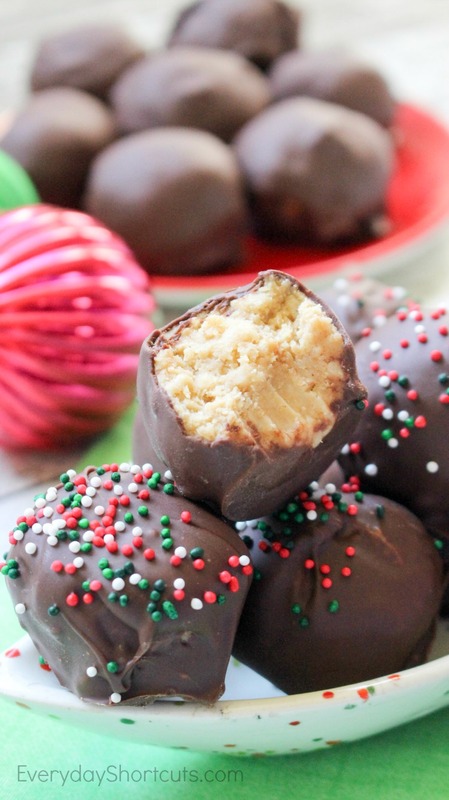 Dip the peanut butter balls into the melted chocolate. You can either work from the double boiler pan or you can transfer the melted chocolate into a smaller bowl for easier handling. 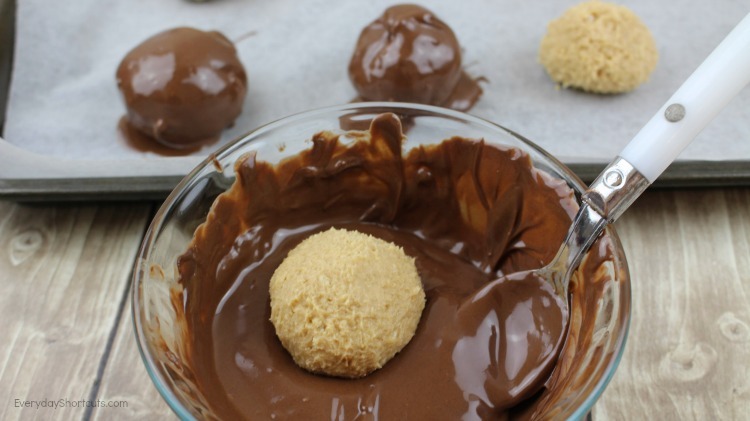 Place the chocolate coated peanut butter balls on the lined baking sheet. 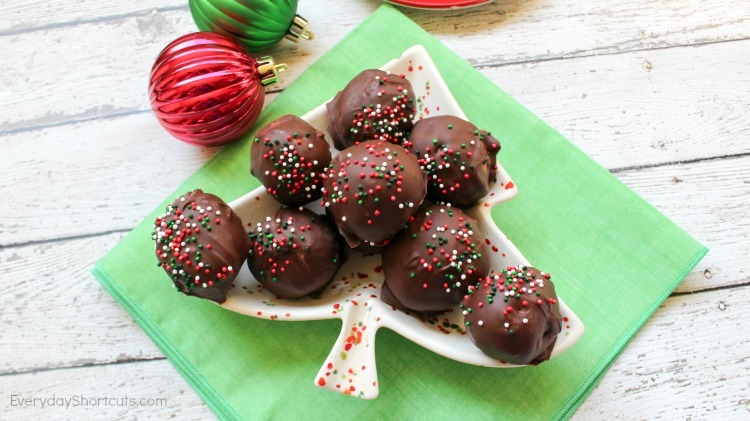 If desired, sprinkle each peanut butter ball with holidays sprinkles before the chocolate hardens. You can always make these up ahead of time to have on hand when you have a party to go to. After you make them just make sure to store chilled in an airtight container for up to 4 weeks. Then you can grab the container put them on a platter and head out the door.